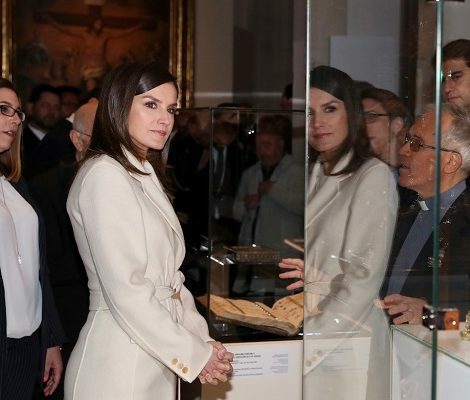 Today, Queen Letizia has a busy schedule. 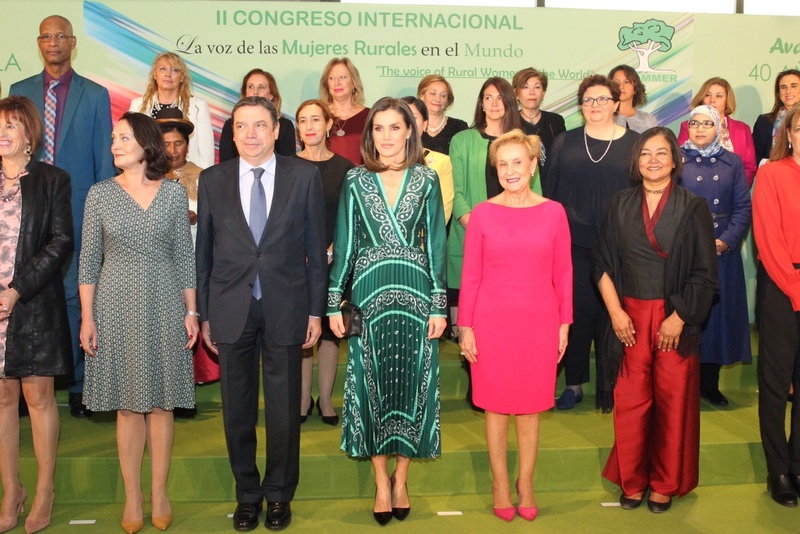 In the morning, she presided over the act of presentation of conclusions of the II International Congress: ” The Voice of Rural Women in the World“. In the afternoon she will attend Commemorative lunch of the 80th anniversary of the Marca newspaper. Queen arrived at the Marriott Auditorium Hotel in the morning to attend the II International Congress: ” The Voice of Rural Women in the World” organized by the Association of Families and Women of the Rural Environment (AFAMMER). 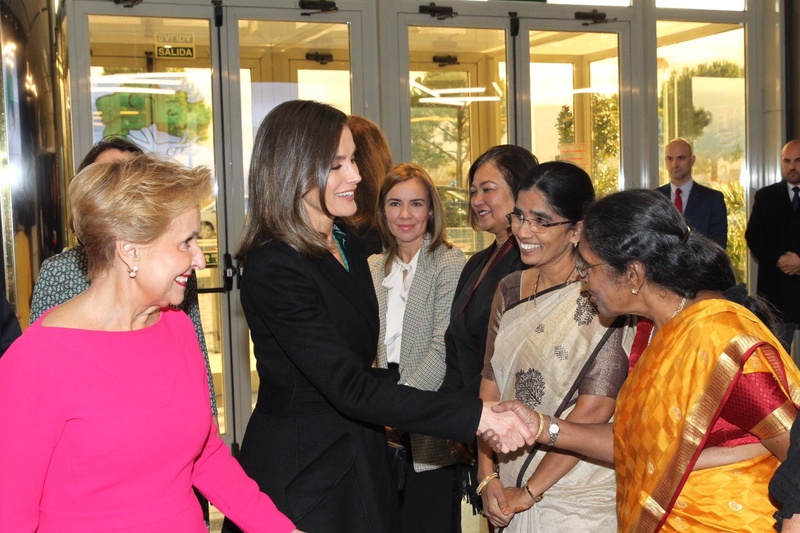 Queen Letizia met with the Board of Directors of AFAMMER before the event. The agenda of the Congress was “We advance for equality: AGENDA 2030 – 40 years of the Spanish Constitution“. 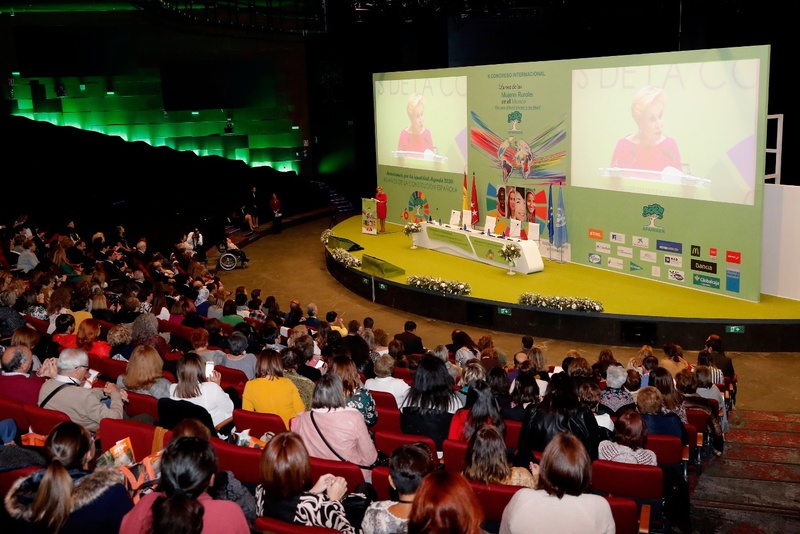 More than 1000 women from Spain and the International Community were present where speakers specializing in rural areas and equal opportunities present their thoughts. A general view of the Auditorium. The discussed topics included the challenges to achieve equal opportunities in rural areas, is the need to continue promoting the Law of Shared Ownership; to promote the female generational change in the countryside and end the wage gap. 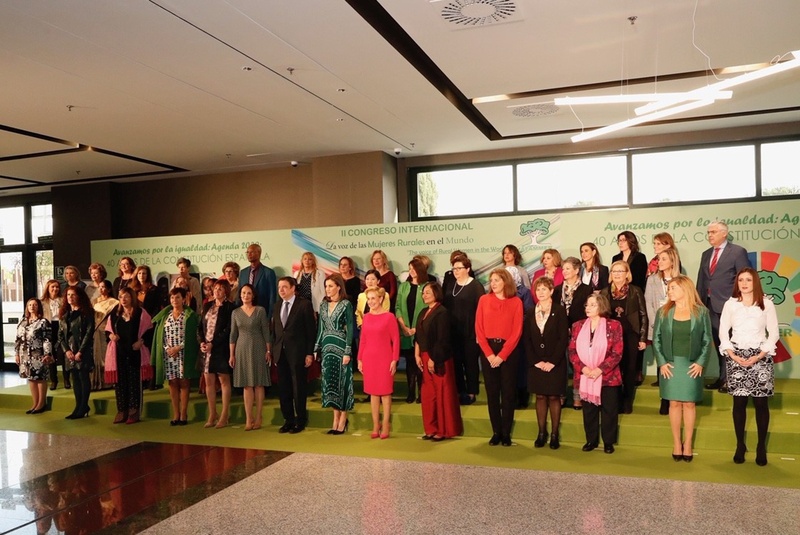 Established in 1982, AFAMMER is a pioneer organization in Spain with a clear and first objective: that rural women stop being invisible and that their voice be heard in all national and international forums to meet the challenge of real equality of opportunities. 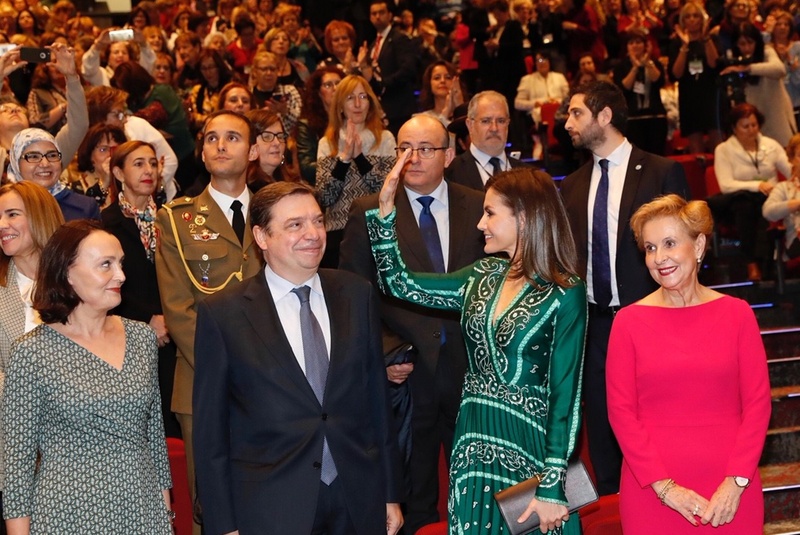 Before leaving Queen Letizia met with the guests who attended the Congress. 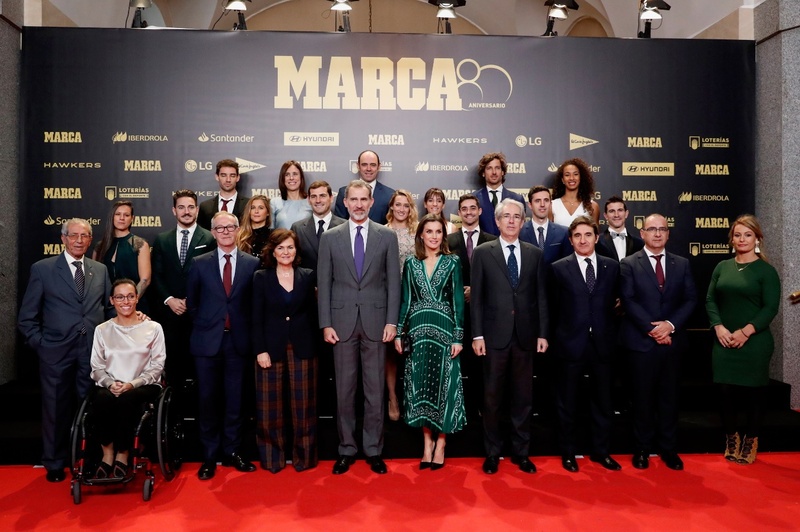 In the afternoon, Queen joined King Felipe for the commemorative lunch of the 80th anniversary of the Marca newspaper at Royal Theatre in Madrid. 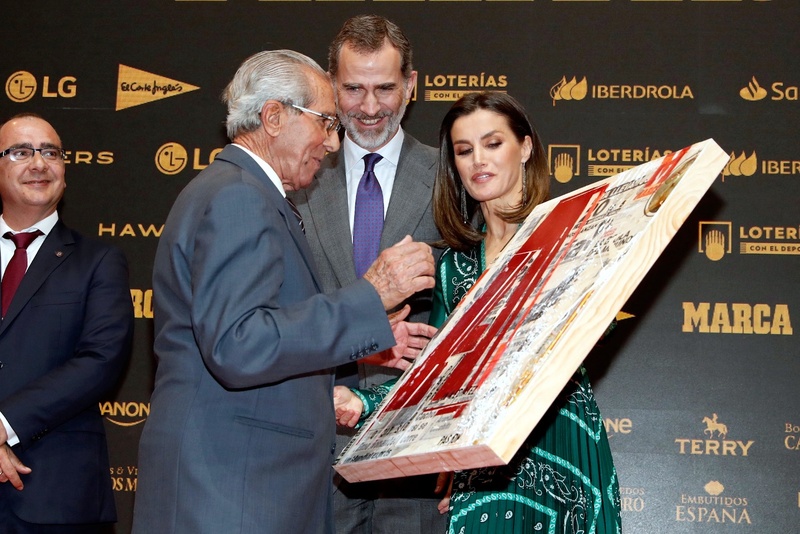 The couple was received by the Vice President of the Government and the editor of the newspaper Marca. A video was screened in the dining hall of the Theater showcasing the history of Marca’s 80 years and its journey along with a musical performance. 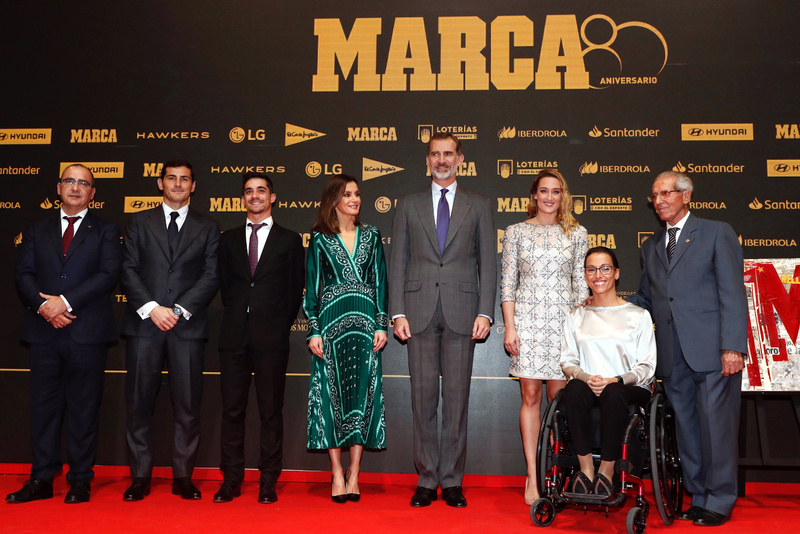 The royal couple presented the honorary awards to the team of the editor and journalists marking the anniversary.Couple also presented sports awards sponsored by the newspaper. The newspaper MARCA was born on December 21, 1938 in San Sebastian and moved to Madrid with just over a year. Its founder, Manuel Fernández Cuesta, wanted to make a sports magazine that was initially available every week and then daily. The head of this sports newspaper, understood the universal vocation of sport and became a witness and speaker of all disciplines, of all hobbies. Currently, MARCA is the benchmark sports newspaper in Spain, leader in sales and the most read in our country, according to EGM data. 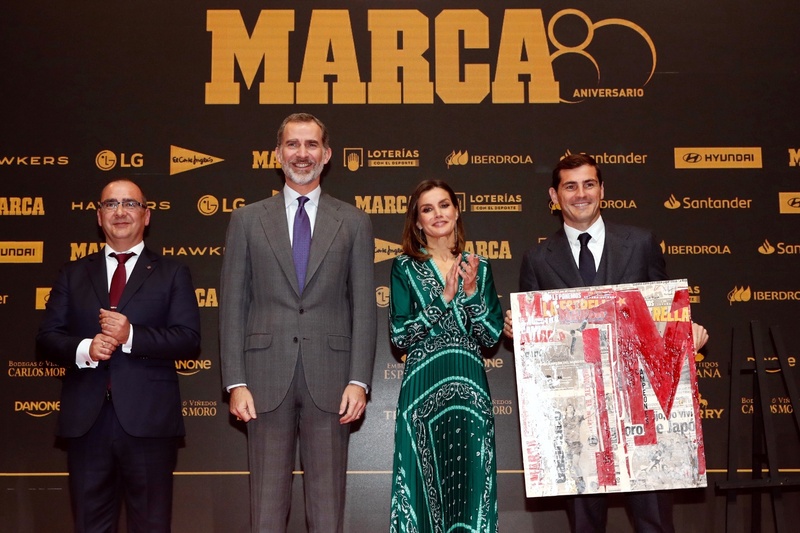 The Marca newspaper belongs to the multimedia communication group Unidad Editorial, which also publishes the newspapers El Mundo and Expansión, as well as the specialized publications Diario Médico and Correo Farmacéutico. 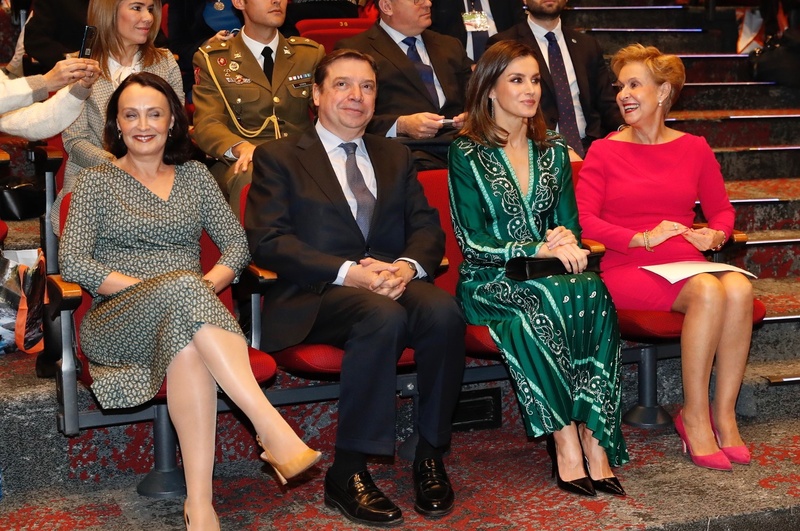 For the day, Queen Letizia chose a bright and vibrant look. Upon arrival she was wearing her black wool Carolina Herrera coat. 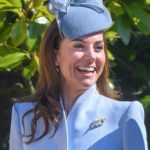 Crafted from stretch virgin wool and featuring notched lapels, a double breasted front fastening, a belted waist, and side flap pockets the A-line belted coat was seen at the presentation of of the project “Digitized” in March this year. 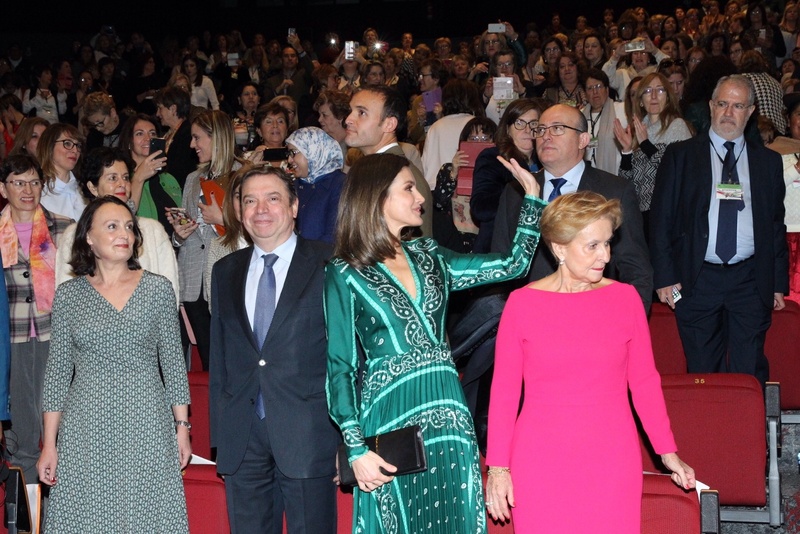 Underneath the coat, Letizia wore a stunning a emerald green dress from French label Sandro. 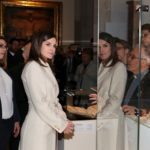 It was the first time we were seeing Letizia wearing this label. She was wearing Long Dress with Scarf Print. 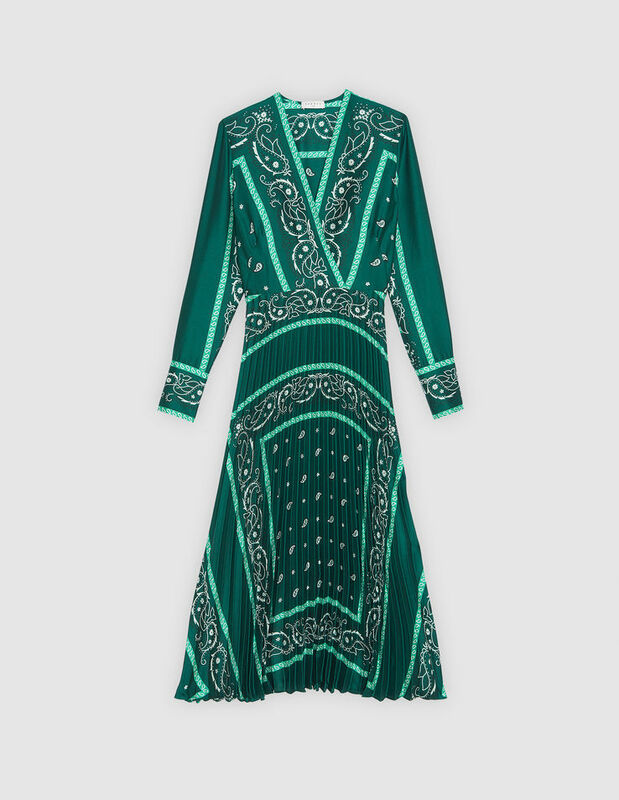 The midi dress featuredFlowing dress with all-over scarf print with Long sleeves and wrap-style neckline, pleated underskirt and Concealed zip fastening on the side. Originally $515 dress is currently retailing at $360.50. 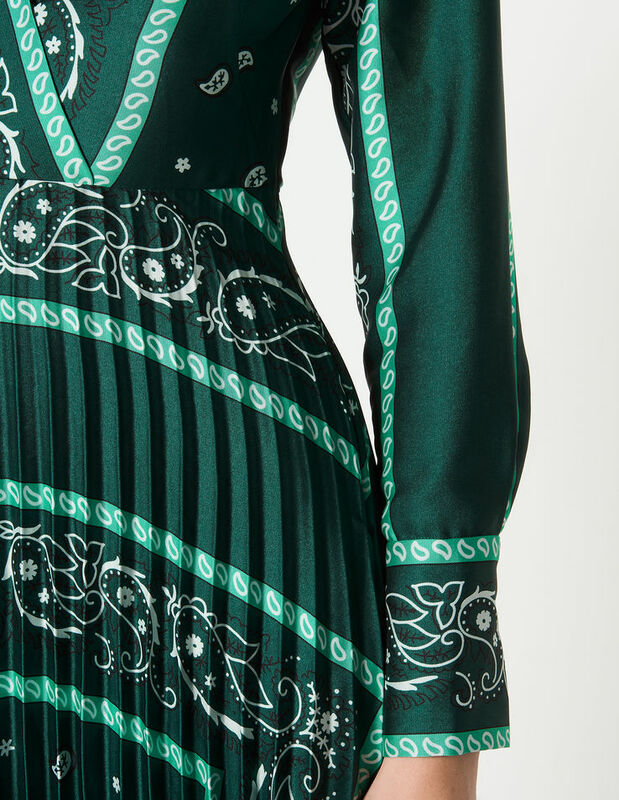 A closer look at the dress fabric and print. Letizia paired her dress with her black Prada Black Saffiano Leather Pumps. 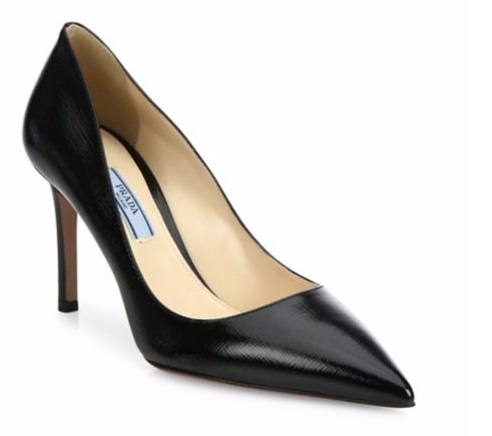 The versatile, stylish pumps in glossy Saffiano leather with self-covered 3.35″ heel are still available on Saks Fifth Ave for $675. 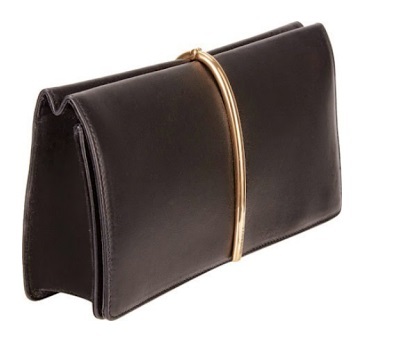 Letizia was carrying her Nina Ricci Arc Clutch. Her long gold and diamond chain TOUS earrings finished the look of the day. 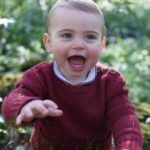 Next Next post: William and Catherine are set to spread happy vibes through their Christmas Card this year.